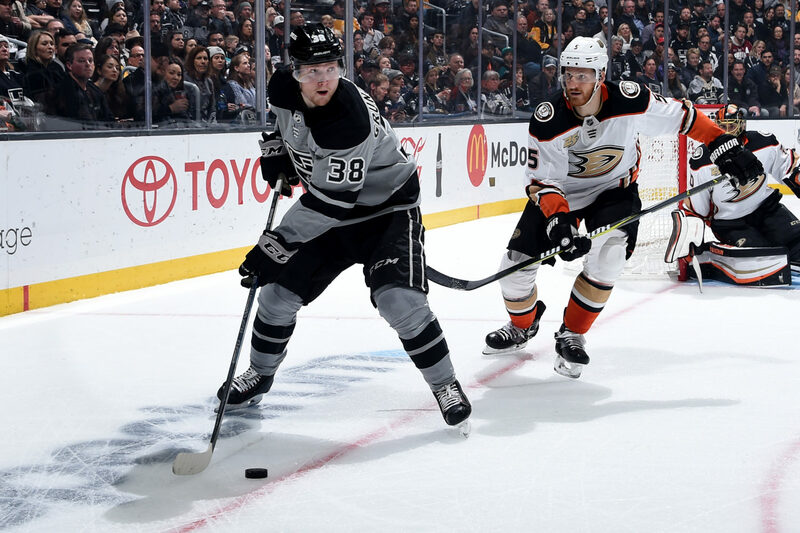 Dominant for 40 minutes before resorting to a late third period cram session, the LA Kings again played with good structure and purpose and suffocated much of the life out of another team that struggles to score in a 4-3 shootout victory over Anaheim. There were lapses, and the events leading to the Carter Rowney shorthanded goal could receive their own paragraph on this page, but by and large the Kings exited and entered zones well and were able to get the clear majority of chances from close range, forcing Ryan Miller into a standout performance that kept the game level for two periods. Los Angeles generated three Grade-A looks in the first 100 seconds of this game, with Tyler Toffoli doing a good job moving his feet and skating his way both out of trouble and into attacking opportunities. 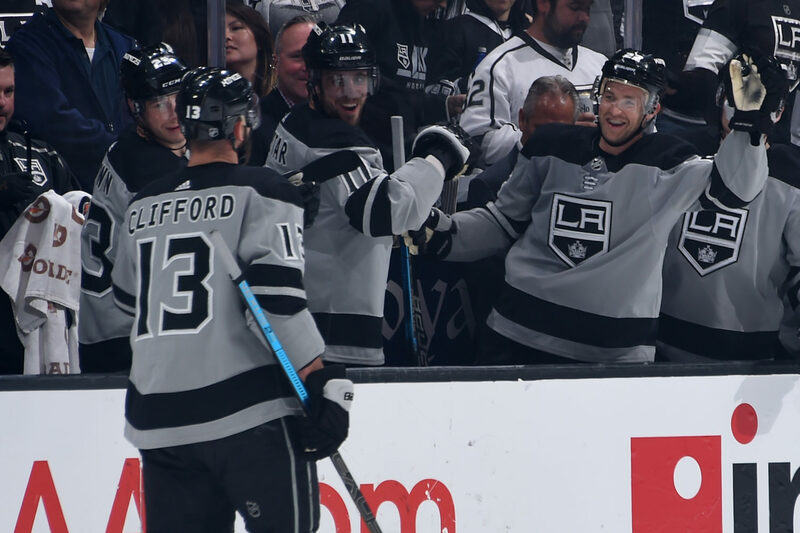 He didn’t score, and that’s been the story of his season – he has 12 goals in 74 games despite owning 35 more scoring chances during five-on-five play than any other King, per Natural Stat Trick – as part of a line that was used heavily and relied on Adrian Kempe’s career-high 20:29. 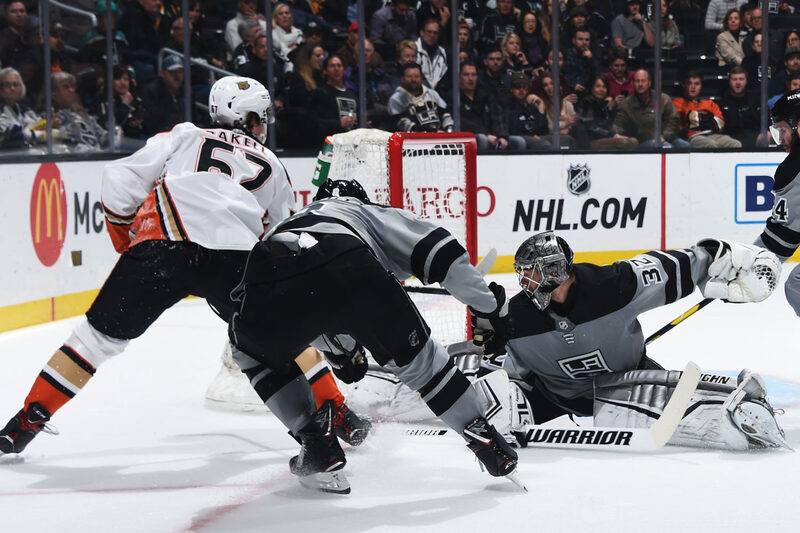 And though Anaheim scored opportunistically and banked on a glorious Rickard Rakell individual effort in which he lifted the puck into the air with his backhand and swatted it under the crossbar with his forehand with under two seconds remaining in the second period, Jonathan Quick made two key stops on Daniel Sprong breakaways, one of which immediately preceded Carl Grundstrom’s goal. He was also perfect in the shootout with little room for error, earning the Kings a second point on a day the Senators, Red Wings and Devils all won. A particular four-team parlay could’ve moved a few of us out of the blogging business! It’s good to see several young’uns be rewarded for their work in the raised emotions of a rivalry game. Grundstrom now has two goals in as many games against Anaheim and might’ve played one of the better games of his lot by getting to tough areas and attacking consistently. On defense, there’s been a lot to like with the kids lately. 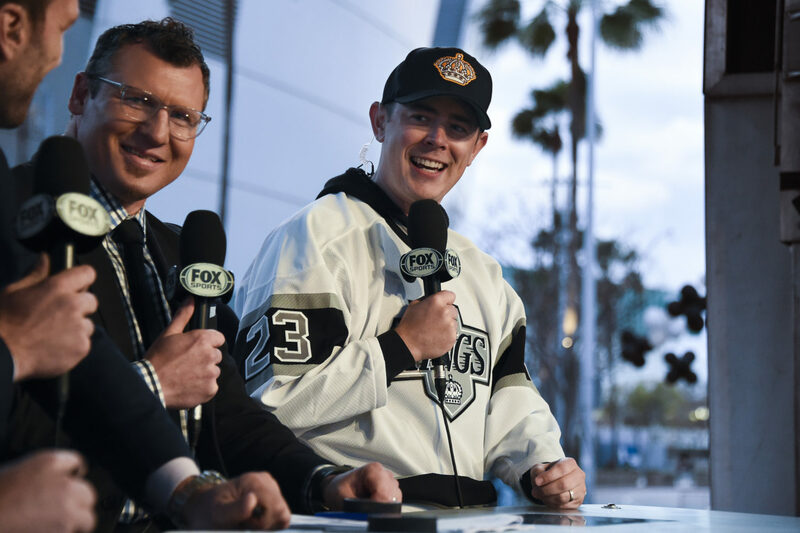 Matt Roy was a key figure in the San Jose win, while on Saturday, both Paul LaDue and Sean Walker put on a pretty good exhibition of some of the recent advances in their games. LaDue’s battle component has taken a nice step forward over the last month, and his perimeter takedown of Sprong was a good example of the type of play he’s capable of when his skating, competitiveness and 6-foot-2 frame work in concert. He’s been playing with a pretty good snarl lately. Walker’s performance might have been the best he’s shown at the NHL to date. He efficiently separated body from puck in one-on-one battles, putting his mobility to use in both the offensive and defensive zones. He’s going to probably rely more on his competitiveness and ability to get his stick-on-puck over pure, in-your-face strength, but he still admirably used his body to end Corey Perry’s onrush into the zone during a particularly noteworthy first period disruption. And, again, Kyle Clifford. With the first special teams point of his career, he tied his career-high in points with 15 and moved within one goal of his first 10-goal season. There was probably a time when his role in the rivalry was often intertwined with Jared Boll’s, and with all respect to Boll, who was a tough and honest player that went to punishing lengths for his teams, Clifford saw a lot of the Adam Henrique line on Saturday, along with the Lindholm-Manson and Fowler-Welinski pairings. Even though he started as many shifts in the defensive zone as the offensive and neutral zones combined in five-on-five play, he was still on the ice for 16 shot attempts for and only 10 against. He asked for the game sheet when media availability was closing down, took a look and smiled. “No hits? !,” he said jokingly at miscalculation of a statistic he values similarly to his points. He may have adroitly adapted his role in the modern game, but the Kyle Clifford ethos will never fade.